Well the name and identity of the "Immortal", or "Eternal" beloved cannot be known for sure or agreed upon by all scholars from all I've read on he subject, unless some new information has come to light. Beethoven's life certainly was tragic, but his music transcends any difficult he experienced in life to become a monument for the ages. Saturn wrote: Well the name and identity of the "Immortal", or "Eternal" beloved cannot be known for sure or agreed upon by all scholars from all I've read on he subject, unless some new information has come to light. Believe me the Eternal Beloved was Josephine Brunswick- there is plenty of evidence- what her sister Therese wrote about the relationship- how passionately she and Beethoven loved each other and that they were soulmates, Josephine's love for Beethoven- which she expressed in letters to him using terms of endearment the same as the Immortal Beloved ( a more correct translation is in fact Eternal) letter- his 15 love letters to her using again, the same endearments, the fact that her mother kept tearing her away from him and the fact the heartbreak she felt over not being allowed to marry him lead her to have a nervous break down leading to her early death aged 41. And she had a daughter Minona 9 months after her awful second husband, Schackelberg deserted her around the time Beethoven was nearby where she said she was going to go. She had refused to have any intimate relations whith Shackelberg after a few months into their marriage (as he was spiteful) - Minona could not have been his child.It is entirely possible Minona (which means anonymous) was Beethoven's daughter- there is even two photos thought to be of her- one a young woman and when she was older and she does resemble him.Josephine wrote a letter when Minona was 5, when she was very ill and the contents of it could only have been for Beethoven ( she talks about him being deaf). Also Beethoven wrote other cryptic entries in his diary,using initals which seem to be referring to Therese and her mother. It looks like Josephine and Beethoven kept in touch secretly via Therese- Therese could see how being forced away from Beethoven was literally killing Josephine. Beethoven's nephew Karl even asked Beethoven who a mystery woman was he saw him walking with and he would not answer.This is just a few quick points- there's much more to it than this. The writer who researched all this is German, and most of the other biographers are not German speakers- he has the German documents her refers to in German throughout and references everything. I know Beethoven's music is monumental and transcendent- he is the greatest composer to have ever lived- yes I love him more than Chopin now!! !..I did a free course online with Coursera recently on his sonatas and got a distinction for my assignments Saturn! I am amazed I did so well. This book is so moving- I feel a real pang of sorrow for Ludwig and Josephine- theirs was truly a one in a lifetime love- it was very spiritual and deep. You get to see a real different side to Beethoven than the usual caricature image we get of him being a grumpy eccentric. He was truly loving and very kind to Josephine. He never wrote her a cross word or showed her any anger for marrying twice at her mother's insistence. You should read John Suchet's [yes, THAT John Suchet's] 3 part novelisation of Beethoven's life The Last Master, it's the closet you can probably get to being inside the great man's head, and a truly, devastatingly moving read. Saturn wrote: You should read John Suchet's [yes, THAT John Suchet's] 3 part novelisation of Beethoven's life The Last Master, it's the closet you can probably get to being inside the great man's head, and a truly, devastatingly moving read. Yes, I know John Suchet admires Beethoven! I listen to Classic FM. As far as I know he doesn't believe/know that Josephine was the Immortal Beloved though- on the Classic FM website he thinks it was Antonie Bentano- totally wrong as Beethoven would never have conducted an affair with his friend's wife- he abhorred that, and he never wrote Antonie love letters either. In fact once Beethoven innocently went for a walk with a friend's wife, and the man got angry and Beethoven wrote him an apology saying he didn't mean to do any wrong.The information below is incorrect. Josephine wrote Beethoven love letters not Antonie, nor did Antonie ever declare or show love for Beethoven- she was a friend and admired his music, but was happily married. Shame John Suchet ignores the evidence! I take it you admire Beethoven too then Saturn? I think he was extraordinary- both as a person and composer. He is to music what John Keats is to poetry! You know what puzzles me though Saturn? How come John never mentions Ludwig's music in his letters? I would have thought he'd have loved the great Ludwig van Beethoven's music. 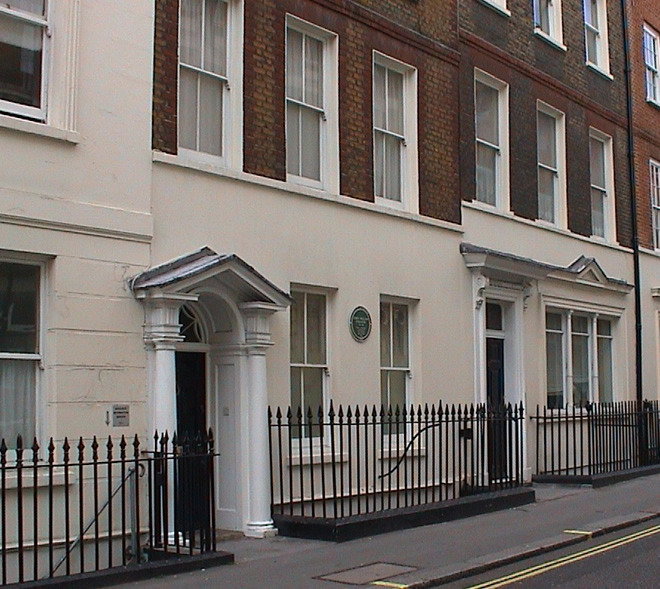 Beethoven's music was well known and admired in London at the time. I inherited my late brother's Kindle and found by accident that Beethoven's letters are there for free!!! I am still fonder of the printed book ( got some great books as you know Saturn) but I can read Beethoven on the bus and at lunch time at work now. I don't like taking books on the bus and to work as they can get tatty! I love Beethoven, have almost his entire works on CD. I know you don't agree with Suchet's opinion on the identity of The Immortal Beloved, but I would definitely recommend his novels. I think you overestimate the popularity of Beethoven in England at the time, he was known, in musical circles definitely, but the fame and revery he has attained today didn't really take off until Mendelssohn began conducting his symphonies later in the century. If he was known at all to Keats and his circle it may have been for his piano sonatas and piano pieces. We forget now that composers like Schubert died virtually penniless and unknown outside of the Viennese musical scene. Wow- you certainly have excellent taste Saturn. What do you think of the Hammerklavier sonata? I think it is momumental- probably the most epic piano music ever! Yes, they did look interesting. I do like John Suchet a lot and love the way he is so enthusiastic about Beethoven- the way he says "Beethoven" with such respect and admiration when he puts one of the compositions by the great Master on his radio show is great! I think you overestimate the popularity of Beethoven in England at the time, he was known, in musical circles definitely, but the fame and revery he has attained today didn't really take off until Mendelssohn began conducting his symphonies later in the century. Well, I'm not so sure Saturn- I have seen articles about the "celebrated Beethoven" in the Times- advertising his concerts, Beethoven had the Broadwood pianos sent over to Vienna and was invited to London a few times but was unable to go due to his growing deafness and stomach complaints ( making travel difficult)- he said in his letters that he wanted to go to London.I think if Ludwig hadn't been going deaf and hadn't been ill he would have gone to London and may even have settled here- London was a freer place for musicians ( independent publishers, not so much patronage) and we were less class driven as in Vienna. We also had the best pianos made by John Broadwood, more concert halls, more middle classes going to concerts, more interest in virtuoso piano performances. I know all this as I had to study this on the Curtis Coursera course I have just finished, and for what I got 100%- distinction for!!! The rigid class system was a big problem for Beethoven as he was a free spirit and hated being expected to bow to the aristocracy in the street and indeed refused to do it! Yet, he had some close aristocratic friends who had the highest regard for him- Beethoven commanded respect and he got it to a certain extent- it was his love life which suffered the most in that regard. Although here, aristocrats were expected to marry their own, we did have middle classes marrying into them- but in Vienna this was forbidden. Our aristocrats had much less political power by this time, unlike in Vienna. I think Beethoven would have had a happier life in England/London. He'd have had to learn English though lol! Certainly he would have found getting married an easier task than in Vienna. If he was known at all to Keats and his circle it may have been for his piano sonatas and piano pieces. We forget now that composers like Schubert died virtually penniless and unknown outside of the Viennese musical scene. I expect it may have been for his piano compositions but his latest works were known here.I will upload those Times articles into Box and link them tomorrow. I think Schubert was less known than Beethoven due to his youth and ill health- dying so young. Have you guys heard of a new book called The Vampyre Family by Andrew McConnell Stott (who wrote a biography of Grimaldi)? It's about the summer of 1816 when Byron and P.B. Shelley, Mary Shelley and Claire Clairmont met in Geneva and wrote ghost stories. I got hold of the book today and am looking forward to learning more about John Polidori, who sounds fascinating but is little written about: he was Byron's physician and wrote the short story 'The Vampre' that summer but it was published under the club footed one's name, which infuriated him. Like Keats, he was only 25 when he died - in fact, he died only 6 months after Mr Keats. But the circumstances of his death were quite different - depressed by gambling debts and a lack of literary success and recognition, he killed himself in London with prussic acid. Keats is mentioned a few times in McConnell Stott's book... I shall let you know how he fares! Polidori's Vampyre story has given him more immortality than anything Byron ever has ever written. The story more or less created the idea of Vampire fascination in the English speaking world and his story runs through Stoker and on through Anne Rice etc to the modern age. I've read the story, it's not great literature to be honest but does feed into the Byronic myth more than anything, so you could almost say the imagine Dracula, the handsome pale aristocrat comes directly from Byron and his carefully crafted image via Polidori's lurid tale. In recent times author Tom Holland even wrote a series of novels in which; taking his lead from Polidori's tale, Byron in fact is a Vampire. Just finished reading Our Brightest Brother, a fictionalized account of Keats's life I located and bought on-line (title is taken from a verse from Hyperion). It's not recently published; copyright date is the early 70s. My recent reading is so much lighter than anything y'all have discussed! I'm almost ashamed to share! Don't be silly, you can discuss any kind of book here, whatever you read and enjoy is fine, there's no requirement to read or post about dense academic or biographic tomes! 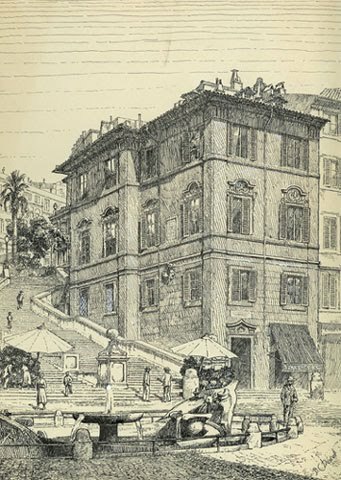 Thanks for posting Polidori's diary, Casa Magni! I wasn't aware that it was online. Polidori did credit Byron with creating some of the roots of the story, so I don't think he (Polidori) can be seen as harbinger of a new genre or myth (multiple factors always come into play in the genesis of these things, anyway). But almost all biographers repeat verbatim Byron's haughty put-downs and ridicule of his young physician, which just reinforces the impression that the Anglo-Italian was just a dunce, just a hanger-on. So sad that he died at 25 - either by his own hand or as a result of a head injury from being thrown from a gig. Poor Polidori. I must read his book one of these days. I have so many books to read- will take me a year to get through them all at this rate! In my opinion, "The Vampyre" is kind of a weak work of fiction. It's interesting to me because of the circumstances surrounding it, because of the genre of fiction Polidori seems to have founded, and the people its writer knew during his short life. I think I read somewhere that Polidori was related in some way to the Rosettis. Since you're so interested in and knowledgeable about the Pre-Raphaelites, do you remember reading anything about his family connections? I think he also had an uncle (or something like that) who was one of Rossini's librettists.